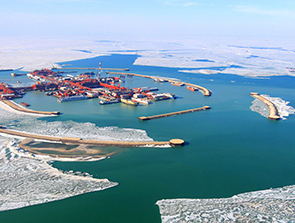 We have a 16.8% interest in the offshore Kashagan field, where the North Caspian Operating Company is the operator. This shallow-water field covers an area of approximately 3,400 square kilometres. Phase 1 development of the field is expected to lead to plateau production of approximately 300 thousand boe/d, increasing further with additional phases of development. NC Production Operations Company, a joint venture between Shell and KazMunayGas, will manage production operations. First production is expected to start in 2013. 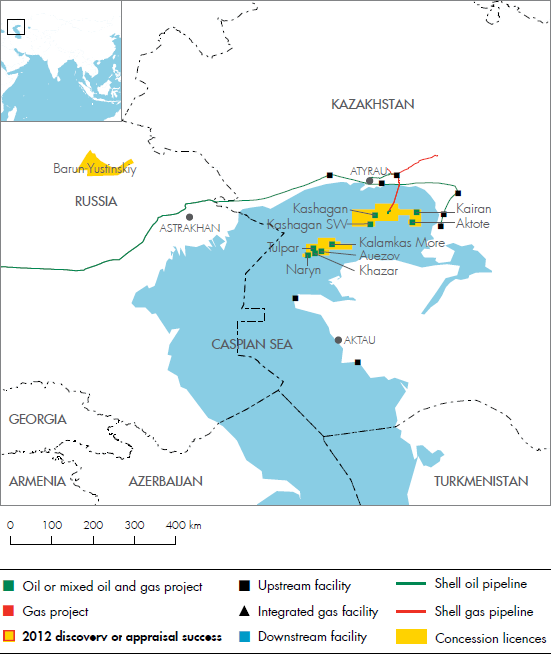 We have an interest of 55% in the Pearls PSC, covering an area of approximately 900 square kilometres located in the Kazakh sector of the Caspian Sea that includes two oil discoveries (Auezov and Khazar) and several exploration prospects.